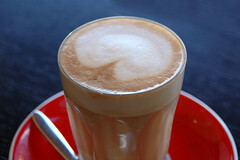 If you’re trying to build a relationship with a particular newspaper journalist – invite them to breakfast! Make sure you are very targeted in your approach and email your journalist about the idea – at worst they can say no! And last but not least, pay for breakfast! Here’s some news hot of the press – so hot in fact that at the time of writing, the journalists who are on our media list for this campaign, have not even received their media kits yet…! As you know journalists receive hundreds of publicity approaches a day, so it’s important to ‘cut through the clutter’ to use an advertising term. One way to do this is to thorougly personalise your media kit – that is include a personalised letter (& product sample if possible) for your media contact. Journalists get sick of all the gumpff (just making up my own words on the run here!) and if you can appeal personally to the journalist, you’re going to be far ahead of others who simply dish our their information with scant regard. 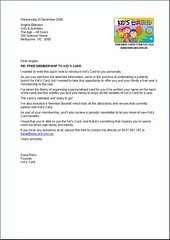 So, by way of example, here is a letter I’ve written on behalf of my client Kids Card who are launching a fabulous new childrens’ entertainment program. 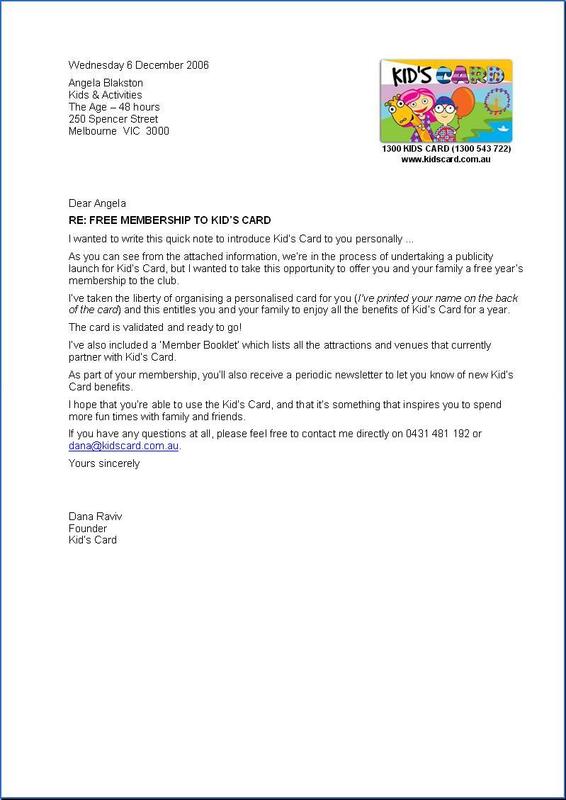 So in our media kit we included the trusty media release as well as a personalised letter and better yet, we gave each journalist free membership to the Kids Card program for a year and printed their name on their very own card – how’s that for personalisation! So next time you’re contacting journalists, try to think of ways in which to personalise your approach. And I’ll keep you posted on our levels of success with this campaign.